2015 Reading – It's Time to Read! 2. Jane Green: The Patchwork Marriage. 5 January. 4 out of 5. 3. Roald Dahl: Esio Trot. 6 January. 3 out of 5. 5. Debbie Macomber: The Inn at Rose Harbour. 17 January. 4 out of 5. 6. Katherine Webb: The Legacy. 28 January. 3 out of 5. 7. Havilah Cunnington: I Do Hard Things. 30 January. 5 out of 5. 8. Andrew Wilson: Unbreakable. 16 February. 4 out of 5. 9. Debbie Macomber: Rose Harbour in Bloom. 20 February. 4 out of 5. 10. Roald Dahl: Matilda. 24 February. 5 out of 5. 11. M.C. Beaton: The Quiche of Death. 18 March. 4 out of 5. 12. Santa Montefiore: Sea of Lost Love 29 March. 4 out of 5. 13. Mary Nichols: The Fountain. 10 April. 2 out of 5. 14. Debbie Macomber: 8 Sandpiper Way. 12 April. 3 out of 5. 15. Debbie Macomber: 92 Pacific Boulevard. 17 April. 3 out of 5. 16. Harriet Evans: A Place For Us. 29 April. 3 out of 5. 17. John Green: Paper Towns. 4 May. 3 out of 5. 18. M. C. Beaton: Agatha Raisin and the Vicious Vet. 13 May. 4 out of 5. 19. Rowan Coleman: The Memory Book. 21 May. 4 out of 5. 20. Debbie Macomber: 1022 Evergreen Place. 25 May. 3 out of 5. 24. Amanda Hocking: Lullaby. 20 June. 3 out of 5. 25. Beth Redman: God Knows My Name. 23 June. 5 out of 5. 27. Sarah Rayner: One Moment, One Morning. 5 July. 3 out of 5. 28. E. Nesbit: The Railway Children. 15 July. 4 out of 5. 29. Nicholas Sparks: A Bend in the Road. 19 July. 3 out of 5. 31. Anita Shreve: Body Surfing. 1 August. 2 out of 5. 34. Veronica Henry: A Sea Change. 11 August. 3 out of 5. 35. Liane Moriarty: Big Little Lies. 17 August. 4 out of 5. 36. Sadie Jones: The Uninvited Guests. 28 August. 3 out of 5. 37. Nathan Filer: The Shock of the Fall. 31 August. 3 out of 5. 38. Terry Pratchett: The Shepherd’s Crown. 8 September. 4 out of 5. REVIEW. 39. Veronica Henry: The Beach Hut. 11 September. 3 out of 5. 40. Simon Mawer: Tightrope. 13 September. 3 out of 5. 41. Erica James: The Hidden Cottage. 20 September. 3 out of 5. 42. Tessa Hadley: The Past. 8 October. 3 out of 5. 44. Lucinda Riley: The Light Behind the Window. 31 October. 3 out of 5. 45. Jojo Moyes: The One Plus One. 6 November. 3 out of 5. 46. Philippa Gregory: The Taming of the Queen. 19 November. 3 out of 5. REVIEW. 47. Jenny Colgan: Christmas at the Cupcake Cafe. 25 November. 4 out of 5. REVIEW. 48: J. R. R. Tolkien: Letters from Father Christmas. 3 December. 5 out of 5. 49. M.C. Beaton: Christmas Crumble. 10 December. 3 out of 5. 50. Charles Dickens: A Christmas Carol. 19 December. 5 out of 5. 1. Secret Seven. 2 January 2014. 2. 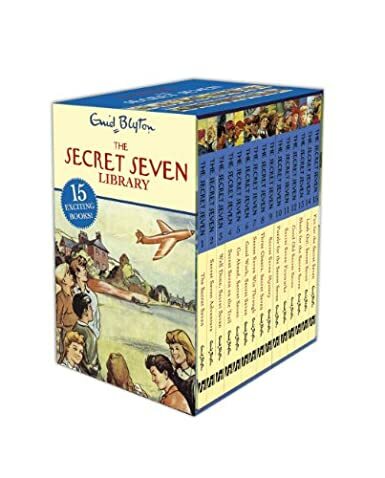 Secret Seven Adventure. 6 January 2014. 3. Well Done, Secret Seven. 14 January 2014. 4. Secret Seven on the Trail. 31 March 2014. 5. Go Ahead, Secret Seven. 29 June 2014. 1. Esio Trot. 6 January. Pingback: 2015 Reading Challenges | It's Time to Read! Pingback: I Had A Baby! | It's Time to Read!